Cute and feminine shirt blouse from KAFFE. 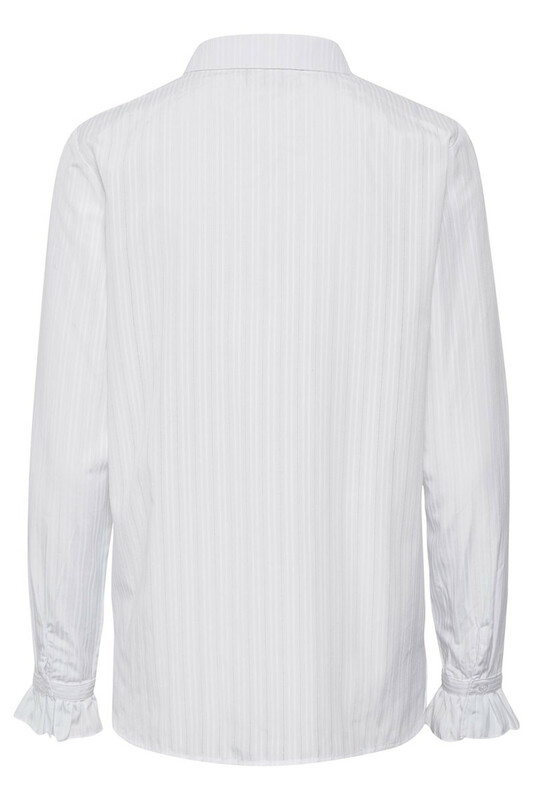 The shirt has long sleeves with button closure, an elegant and discreet pattern and it is buttoned all the way down. It has a regular fit and the quality is really nice to wear. 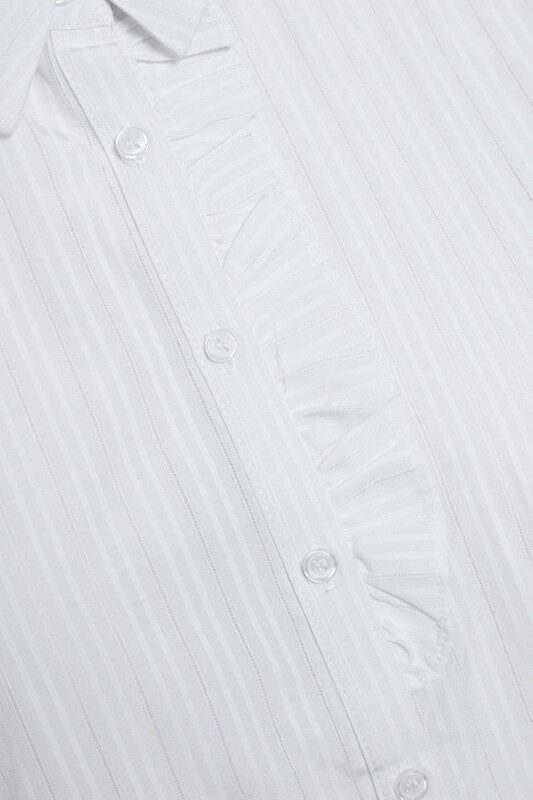 The feminine details are reflected in the shirt's ruffles on the sleeves as well on the front of the shirt. 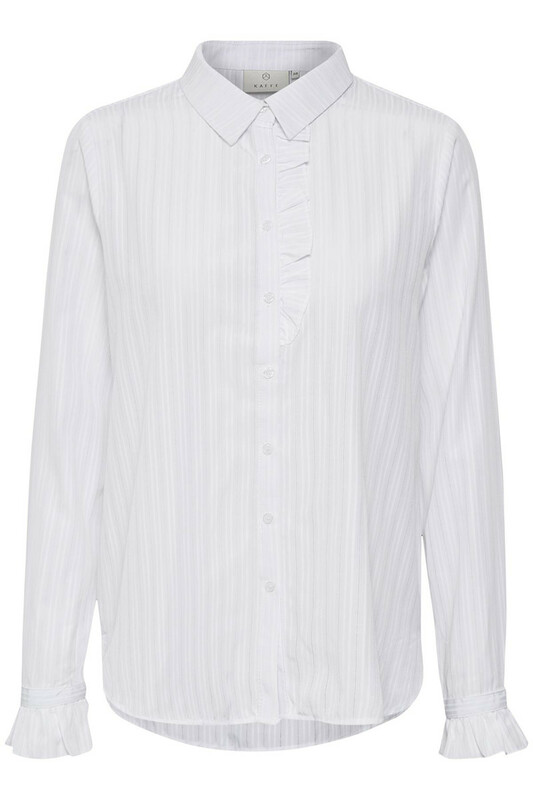 The nice shirt blouse is also very nice with a lace top underneath.